Managing uncertainty in the global supply chain: why does it matter and how can we succeed? Context: International supply chains operate in a volatile and uncertain environment driven by populism, geo-economics, the new wave of globalisation, environmental degradation and the fourth industrial revolution. Shippers and service providers must choose pathways for the future: how do we flatten the waves to steer economy and society into safer waters? Conference speakers and attendees have been selected to represent a wide cross-section of the supply chain: we aim to generate broad debate to identify possible solutions which benefit all stakeholders. Please note that, whilst we finalise discussions with speakers, this agenda is not complete and is constantly being updated. As the conference is only 24 hours and speakers are coming from several countries, we ask you please to try to be available throughout. Thank you. A more vulnerable supply chain? Those operating within the supply chain have always faced uncertainty and volatility, but current macro issues (trade wars, climate change, the Far East, rapid innovation, consumer demand, e-commerce, Trump, Brexit…) are heightening the effects and fallout, creating spikes and dips in demand, uncertainty around delivery times, the viability of some supply chain routes, stock levels and much more – and it’s difficult to manage. 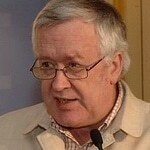 Should we tear up our 3 year demand planning model and logistics tenders? Roundtable: Practical and solutions-focused discussion with decision makers. It’s good to know, but how can we react? Influences, effects, risks in the market today – what are the true priorities vs smaller challenges that we can ignore in the short term? How can we get better results? Where are we aiming to position ourselves? Today’s realities – a different tomorrow? Achieving results in our unpredictable environment increases pressure on the decision-making process and may demand new models, more flexibility and different ways of working. Climate change and consequent regulations will add another dimension. Almost every industry faces change. And the breadth and depth of these changes brings transformation of entire systems of production, management, and governance as well as fundamentally altering the way we live, work, and relate to one another. 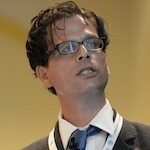 (10:15 – 10:35) Keynote or Interviews: Confidential use of shared data in global supply chains. Speaker tbc. (10:45 – 12:00) Roundtable strategic discussion on managing the next level of efficiency, demand management and making the leap to being flexible, agile and robust operations to cope with uncertainty. Shared data is so far limited. Can predictive technologies help, and are ‘go-to-market’ platforms real progress? What are tender/sourcing platforms doing to support agile, volatile, robust and elastic sourcing to avoid supply chain disruption? F&L conference “Managing uncertainty in the global supply chain – why it matters and how can we succeed?”. See “Agenda” tab. Spouse/partners’ guided tour . F&L’s guide will leave Motel One Am Michel at 09:30 and lead a tour of the main sights in the city centre. Hear stories of the boulevard Jungfernstieg and the lake Alster, the “Alster-Arcades”, the town hall and its courtyard with the adjoining stock exchange as well as typical old office buildings, the so-called “Kontorhäuser”. You will move on to the former city centre and to the only remaining historic merchants’ houses, reaching the famous 19th century warehouse-district, the “Speicherstadt” and the “Hafencity”, one of the biggest urban development projects in the whole of Europe currently under construction. You will also see the new concert hall Elbphilharmonie. Comfortable shoes required and coffee/cake provided mid-morning! You will finish at KLU at 12:00, so that you can join F&L for lunch. The famous Hamburg Port Anniversary will take place 10-12 May and we are delighted to offer conference participants a special VIP invitation to join a cruise 2-5pm on Saturday 11th. Please ask for info. Sergio Barbarino is a Research Fellow at P&G’s Brussels Innovation Center, Chairman of ALICE (EU Innovation Platform for Logistics aimed at realizing the Physical Internet) and has a Masters degree in chemical engineering from the University of Napoli Federico II as well as an MBA from Solvay Business School in Brussels. Sergio created the first Supply Chain & Logistics R&D within P&G, named the Supply Network Innovation Center, of which he was Scientific Coordinator for 10 years. 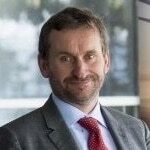 He has been Scientific Leader of 2 EU FP7 projects: the C03 consortium aiming at increasing shipper collaboration on Logistics in Europe, and Modulushca which aims to develop new shareable and reusable logistics standard modules for the last mile delivery. He has represented P&G in the Large Collaborative projects Impulse and F3 on innovative micro processing leading some of the best demonstrators, developed the manufacturing processes of numerous well-known P&G Brands and has been chief P&G designer of Innovative Liquid Manufacturing systems for developing markets. He is also responsible for several P&G Academic Partnerships and has been Visiting Professor – among others – at the École des Mines de Paris, the City University of London, Laval University Quebec, Solvay Brussels School, Georgiatech and Purdue. Sergio is a certified sommelier and is co-owner of the www.onlygreatwines.com. Pietro D’Arpa is Director Supply Chain Europe for P&G, responsible for logistics and end-to-end strategic planning. A mechanical engineer by training, he works across all categories of P&G products and 30 years with in numerous global P&G businesses has given him expertise in strategic sourcing, production planning, logistics, manufacturing and supply chain M&A. 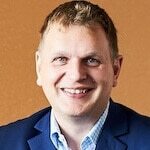 Pietro has lived and worked in Italy, Belgium, UK, Ireland, Switzerland and the United States and is known for transforming the entire supply chain, leveraging disruptive and innovative solutions while accelerating business value creation. Recently he led the renewal of P&G’s Integrated Work Systems approach to build and sustain world class manufacturing results by integrating TPM, lean and high performance methodologies in an end to-end supply chain environment. Rod Franklin is Adjunct Professor of Logistics and Academic Director of Executive Education at Kühne Logistics University. An engineer and operations manager by training and experience, he received his Doctorate in Management from the Case Western Reserve University in Cleveland, Ohio. Professor Franklin has held management positions at Kühne + Nagel, USCO Logistics, ENTEX Information Services, Digital Equipment Corporation, and Cameron Iron Works. He has been a consultant for Booz-Allen & Hamilton, Theodore Barry & Associates and Arthur Young & Co and was a development engineer for the Saginaw Steering Gear Division of General Motors Corporation. Franklin’s research focuses on the application of modern management techniques to the efficient and effective operation of supply chains, sustainable business models, green logistics, corporate social responsibility and cloud based supply chain management. Nils Haupt is Senior Director Corporate Communication at Hapag Lloyd. Nils graduated in 1988 at Johann Wolgang von Goethe University in Frankfurt, receiving a degree in linguistics, literature, theatre, film and television science, and law. He started his career as a copywriter and has held various marketing and communications positions since. Nils has wide experience across the logistics industry in maritime, aviation and forwarding. He has also been part of the banking industry. Kai Hoberg is Head of Logistics Department and Professor of Supply Chain and Operations Strategy at Kühne Logistics University. He has been a visiting scholar at universities including the Johnson Graduate School of Management at Cornell University, Israel Institute of Technology, NUS Business School at National University of Singapore, Saïd Business School at the University of Oxford and the University of Stellenbosch. Kai’s current research topics include supply chain analytics, the role of technology in supply chains, inventory modelling, and the link between operations and finance. He is well published in prestigious journals and has worked as strategy consultant and project manager for Booz & Company as well as conducting supply chain and operations management projects for numerous clients – in particular in consumer, chemicals and discrete manufacturing industries. Wolfgang Lehmacher is global thought leader and practitioner in supply chain and logistics. He was Director, Head of Supply Chain and Transport Industries at the World Economic Forum in Geneva and New York, Partner and Managing Director (China and India) at the global strategy firm CVA in Hong Kong, and President and CEO of GeoPost Intercontinental, the global expansion vehicle of French La Poste in Paris. He is assisting stakeholders across the global supply chain ecosystem – from startups, to asset owners, to Fortune 50 companies – in upscaling and transforming their organizations. He is judge Automotive Logistics Awards Europe, member of the IATA Air Cargo Innovation Awards Jury and the Logistikweisen, a think tank under the patronage of the German Federal Ministry BMVI. Lehmacher is FT, Forbes, Fortune, BI contributor and author of business books, including The Global Supply Chain. Christoph Matulla is a theoretical physicist with a PhD in Climate Research, specifically climatology and system modelling and he is Head of the Climate Impact Team at ZAMG (Austrian Institute Meteorology/Geodynamics). He has international experience including 2 years at Environment Canada’s headquarters in Toronto and is an university teacher (University of Vienna, University of Salzburg, University of Graz and BOKU in Vienna). Christoph has coordinated and participated in various national/international projects, published more than 30 peer-reviewed papers in international journals and has written two books. Among his honors is the Schinze price 2008 which is awarded every fifth year. Within ZAMG, Christoph has established a procedure (based on decision theory, probability calculus and derived hazard-development-corridors) to identify and tackle climate-change induced threats in the decades to come. This procedure, which has largely been worked out in three master theses, was recently presented at F&L’s webinar on climate change and will be further discussed at F&L’s General Assembly Hamburg, May 2019. Hans von Storch is Director Emeritus of the Institute of Coastal Research of the Helmholtz Zentrum Geesthacht, Professor at the University of Hamburg and guest Professor at the Ocean University of China (Qingdao). From 1987 – 1995, he was Senior Scientist and leader of the “Statistical Analysis and Modelling” group at the Max Planck-Institute for Meteorology, and until 2015 Director of the Institute of Coastal Research. 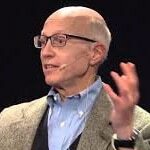 He has published twenty books, among them Statistical Analysis in Climate Research with Francis Zwiers, and Die Klimafalle” with ethnologist Werner Krauss, as well as numerous articles. He is editor-in-chief of Oxford University Press Research Encyclopedia of Climate Science, and member of numerous editorial and advisory boards. He was a lead author of Working Group I of the Third Assessment Report of IPCC and of Working Group II of the Fifth Assessment of the IPCC and has chaired efforts for a climate change assessment for the Baltic Sea Catchment (BACC II). Hans von Storch is a foreign member of the Polish Academy of Sciences, and holds an honorary doctorate of the University of Göteborg. The significance of his work has been recognised by the order of merit of the Federal Republic of Germany in 2019. Ines Surholt is the corporate risk & insurance manager non-marine in Nacora for the Kuehne & Nagel Group. Among other things she is responsible for managing the complete process from risk identification to insurance placement ensuring efficient insurance programs. Ines has more than 15 years of in-depth experience and rich knowledge in international insurance programs including property underwriting and analyzing insurance coverage for multinational Swiss based companies. She joined Nacora from the largest cement manufacturer LafargeHolcim where she was responsible for corporate insurance program management as Insurance Manager. She has been Senior Property Underwriter with Zurich Insurance Company Ltd. Her outgoing personality and keen understanding of diverse business operations including determining of insurance needs by developing proposition makes her a valuable team member. Ines holds a Federal Diploma of Professional Education and Training as Swiss Certified Insurer with KV Business School, Zurich. Besides her mother language German she is fluent in English and French. Frank Vorra th is Executive Business and Supply Chain Transformation Leader at Gartner. He has extensive experience of supply chain and logistics management at strategic, tactical and operational levels to deliver sustainable business performance and results, and a proven track record of success in global business and supply chain strategies, supply chain excellence system, operations and lean management, manufacturing excellence, supply chain capability improvements, change management and business transformation, logistics and transportation procurement and strategic business value analysis. Frank has worked and lived in in Germany, South Africa, Brazil, and US. Prior of joining Gartner, he worked at Johnson Controls as Vice President Global Supply Chain and at DHL in various Leadership positions. In 2016, Frank was rated by the Supply Chain Movement Magazine under the top 38 Supply Chain Professionals in Germany. Frank has contributed to the whitepaper from Lisa Harrington “Solving the Talent Crisis: Five Alternatives every Supply Chain Executive must consider” and to the the book from Prof.Dr.Bram Desmet ’ Supply Chain Strategy and Financial Metrics’ with the foreword. Gordon Wilmsmeier holds the Kühne Professorial Chair in Logistics at the Universidad de los Andes in Bogota, Colombia. From 2011 to 2017, he worked as Economic Affairs Officer in the Infrastructure Services Unit at the United Nations Economic Commission for Latin America and the Caribbean. Previously he worked at Edinburgh Napier University’s Transport Research Institute, Scotland and as consultant for UN-ECLAC, UNCTAD, UN-OHRLLS, the World Bank, Adelphi Research, JICA, IDB, CAF, OAS. He is an internationally recognized expert in maritime transport geography and economics, port economics and inland shipping issues with particular interests in shipping networks, governance competition, transport costs, sustainability and energy efficiency. Recent projects focus on port governance, sustainable port and electromobility on water. Gordon is honorary professor for Maritime Geography at the University of Applied Sciences in Bremen, Germany, visiting lecturer at Göteborg University, Sweden and Universidad Nacional de San Martín, Argentina. He has published over 100 book chapters, journal papers, institutional publications and working papers. He is leader of the global port performance research network. Gordon is council member of the International Association of Maritime Economists, the WCTRS Special Interest Group – Intermodal Freight since 2014, and Associate member of PortEconomics. Michele Acciaro is Director of the Hapag-Lloyd Center for Shipping and Global Logistics and Associate Professor of Maritime Logistics at Kühne Logistics University. Before he has held the position of Senior Researcher Green Shipping at the Research and Innovation department of Det Norske Veritas AS in Høvik, near Oslo. He has worked as deputy director and researcher at the Center for Maritime Economics and Logistics of Erasmus University Rotterdam. Michele holds a BSc and a MSc in Statistics and Economics from the University of Rome “La Sapienza”; a MSc in Maritime Economics and Logistics from Erasmus University Rotterdam; and a PhD in Logistics also from Erasmus University. Since 2001 he has worked as a consultant, advisor and researcher in the areas of liner shipping economics, terminal management and operations optimisation, green shipping, container logistics integration and supply chain pricing and finance. Michele has lectured at several institutions around the world and has been invited speaker at industry events such as TOC Europe and Intermodal. Emel Aktas is a professor of Supply Chain Analytics, Logistics, Procurement and Supply Chain Management. Emel has B.Sc., M.Sc. and Ph.D. degrees in industrial engineering from Istanbul Technical University, Turkey. She began her career at Istanbul Technical University as a research and teaching assistant. She worked as a visiting researcher at Wayne State University, USA and as a lecturer at Dogus University, Istanbul, Turkey during her PhD studies. Emel took part as a researcher in public and private funded projects on location selection, shift scheduling and transportation master plan strategy. Her refereed articles have appeared in a variety of journals. Before joining Cranfield, Emel was the course director of MSc Global Supply Chain Management programme at Brunel University Business School. Emel is currently working on minimising carbon emissions in maritime logistics with focus on the trade-off between service levels and fuel consumption. A parallel line of research is about sequence dependent flowshop scheduling where decisions about machine processing speed affect both service levels and energy consumption. Wed 8 May, small contribution to informal networking dinner (no VAT) – €30.00. Enter number of people you want to pay for. Hotel cancellation free until 13 March, 90% after. 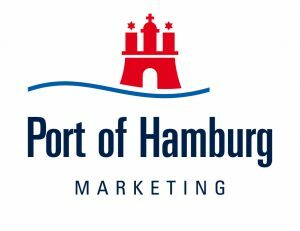 The famous Hamburg Port Anniversary will take place 10-12 May and, as the Port of Hamburg is an F&L member, we are hoping to arrange some special events for those staying! We have taken a small block of rooms in Motel One Hamburg Airport; please select which hotel rooms you would like. Motel One Airport is easily accessible by public transport across the city, and - if you have time to sleep - you will find it quieter than downtown Hamburg. Breakfast included. Hotel room cancellation free until 26 April, and 90% after. The cloud-based logistics platform that enables a worldwide collaborative network of logistics professionals, Transporeon generously sponsors Thursday’s conference lunch, 9th May in the Kühne Logistics University. This global platform for intelligent transport logistics creates a digital connection between shippers and carriers, achieving smarter, transparent and more cost-effective movement of goods around the world. By digitizing the entire logistics supply chain, it also enables real communication and collaboration across the worldwide shipper-carrier community. The company links a global network of more than 1,000 shippers (manufacturers, suppliers, and retailers), 90,000 carriers (logistics and transportation service providers, 3PLs, freight forwarders, and brokers), and more than 100,000 users in over 100 countries through 3 SaaS based logistics platforms: Transporeon for transportation management; Mercareon for retail specific dock scheduling; Ticontract for e-sourcing, procurement and freight bill auditing. Each is available in 24 languages. Transporeon Group solutions include onboarding, consultancy, and lifetime support with multilingual customer support. This ensures a customized fit for each organization, boosting shipper/carrier performance and cutting costs while optimizing carrier margins and lowering CO2 emissions. Transporeon services are ISO-27001 certified, and the group has global presence with offices across Europe, Russia, Asia, and the USA. VTG Aktiengesellschaft (VTG AG) is a publicly traded and leading international wagon hire and rail logistics company that has it’s headquarters in Hamburg. VTG has the biggest privately owned fleet in Europe and customers benefit from close ties between VTG’s three divisions: Railcar, Rail Logistics and Tank Container Logistics. VTG delivers custom-tailored logistical solutions and possesses a wealth of expertise in the transportation of liquids and hazardous goods, where safety is of the essence. The Group’s wagon hire, wagon manufacturing and maintenance activities are complemented by a separate sales organization, and VTG also offers to manage external wagon fleets. VTG prides it’s industry-specific solutions that reflect the quality and effectiveness of a true global player. VTG provides their services across a broad spectrum of industries – for example chemicals, petroleum, automotive engineering and suppliers, the paper industry. VTG AG operates in both the German and international transportation market. SAP sponsors part of the cost of hosting F&L’s meeting in the Kühne Logistics University; most appropriate as the university is located in a former SAP building! 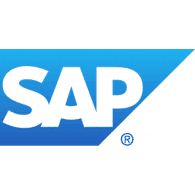 As market leader in enterprise application software, SAP helps companies in all industries and of all sizes (80% of customers are small and medium sized business) run at their best. 77% of the world’s transaction revenue touches an SAP system. Port of Valencia kindly sponsors the entrepreneur’s coffee break on Friday 10th May. Largest seaport in Spain and in the Mediterranean Sea basin, the Port is the fifth busiest seaport in Europe – January 2019 saw the busiest month of January for container traffic in the port’s history. The Port is working on an ambitious Strategic Plan to exploit Valencia’s capacity as a mixed hub, optimising port call costs and volume/mix of local import/export. The Port of Hamburg is Germany’s largest universal port. For more than 30 years, Hafen Hamburg Marketing and its members have been working across the globe to ensure Hamburg delivers as a port and logistics region. The port now enjoys a positive image worldwide, standing for professionalism, efficiency and innovation. Hafen Hamburg kindly sponsors the barge to our networking dinner at Sagabiel 9th May. F&L is thrilled to be working with the KLU on this important event. Kühne Logistics University is a highly ranked international university which is unique for its international excellence in logistics excellence, transportation, supply chain management and related aspects of business. This private university in Hamburg is one of the top universities in the 2014 Handelsblatt research ranking of business administration and achieves top ratings in 2017 CHE university rankings.